Cosmo Electrical’s Submersible pump cables are one of the most unique and versatile product. This is our core and special product for submersible pump motors. This Submersible Pump Cables are hugely accepted, highly praised and enjoys the reputation of being the best in industry. 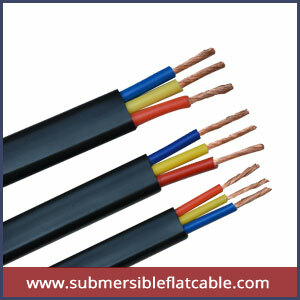 Our offered cables come with shock resistance and water resistance aspects, which let respected clients to use it as per requirement. These Submersible Pump Cables are accurately designed to deliver longer serviceable life and present high functionality.